Join us for the 2019 Delta/Surrey Heritage Fair! 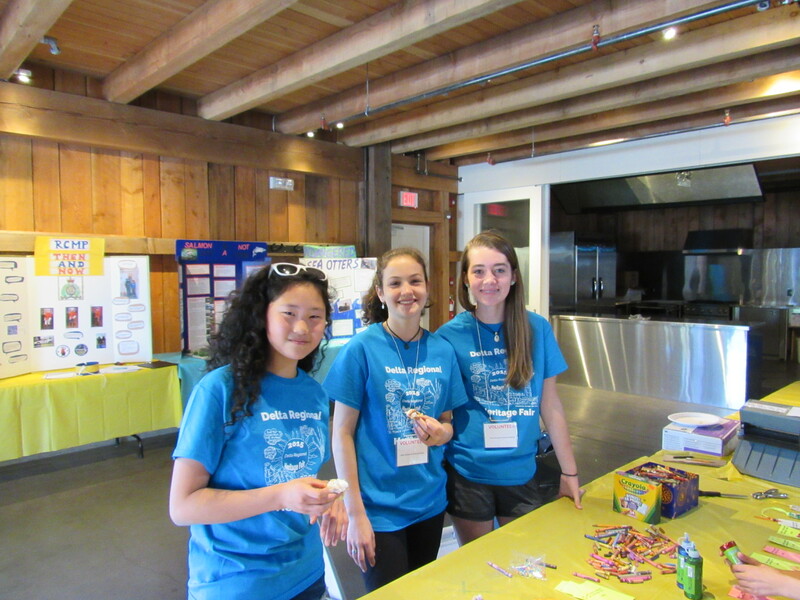 The Delta/Surrey Regional Heritage Fair is an exciting event where students research and present history project displays and learn about Canadian history through interactive workshops and field trips. The fifth Regional Heritage Fair will be held May 10 & 11, 2019 at the Harris Barn in Ladner. A heritage fair is a bilingual showcase of history projects created by elementary and secondary students. Students create their projects on some aspect of Canadian history and present their projects to other students, adults and the general public. The student chooses and researches a topic of interest to him/her. This can be a local historical figure, an event of national significance, or anything in between. The student then presents what s/he has learned in a creative and unique project display. In early spring, students showcase their project displays in the School Heritage Fair. Other classes, parents and administrators are invited to visit and interview students about their research. At the end of the Fair, the teacher selects projects to represent the school at the Regional Heritage Fair. Projects from across Delta and Surrey are showcased at the Delta/Surrey Regional Heritage Fair. Students who created these projects are invited to participate in a two-day program of heritage activities. At the end of the Fair, outstanding projects are presented with special awards and the judges and Fair coordinators short-list projects for the Provincial Heritage Fair. A full-day program of field trips, workshops, and other activities for students. Students will be interviewed about their research by a pair of judges. The Fair is open to students, family members, friends, and the public. Family-friendly activities are scheduled throughout the day, which culminates in a Closing Awards Ceremony attended by special VIP guests. In July, outstanding projects from across BC are showcased at the Provincial Heritage Fair, which takes place in a different city in BC each year. Those students who created these projects are invited to participate in a 5-day “heritage camp”.